© Tourispo / M. Lang The bridge is lined with figures of saints. Charles Bridge in Prague is one of Europe's oldest stone bridges, tourist magnet, and main landmark of the Czech capital. It connects the Old Town to Malá Strana (lit. "Little Side") and is accessible only for pedestrians. The bridge is built upon 16 arches, and features numerous statues of saints. The most famous one is of Saint John of Nepomuk, who is said to have been thrown in to the river Moldova right where his statue now stands. Each of the statues has its own history and enough interesting details to fill several books. There are towers at both ends of the bridge. Old Town Bridge Tower can be visited, and provides a great view over the city and the surrounding sights. Charles Bridge is usually filled with a variety of street musicians and souvenir stands. Besides, visitors enjoy an excellent view of the river Moldova, with Prague Castle on the one-hand side and the National Theatre with its golden roof on the other. During the day, the bridge is usually filled entirely with tourists. 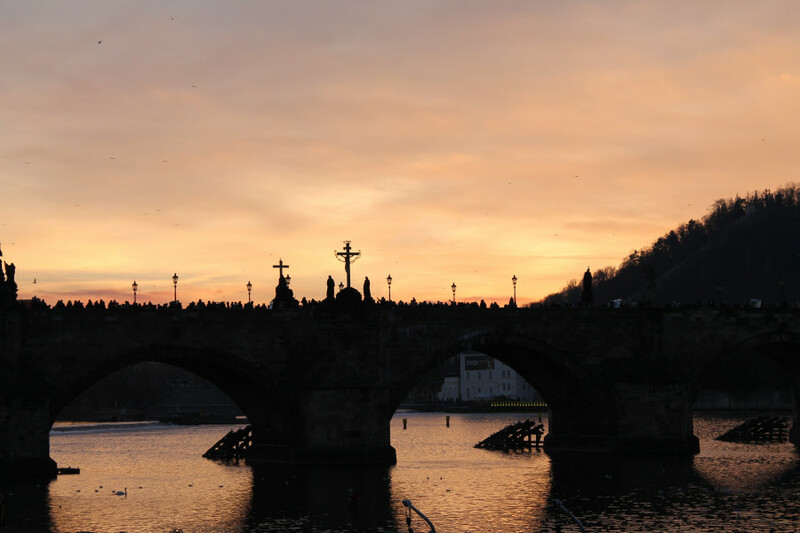 A tip for early risers: watching the sunrise on a mostly empty Charles Bridge is a magical experience. 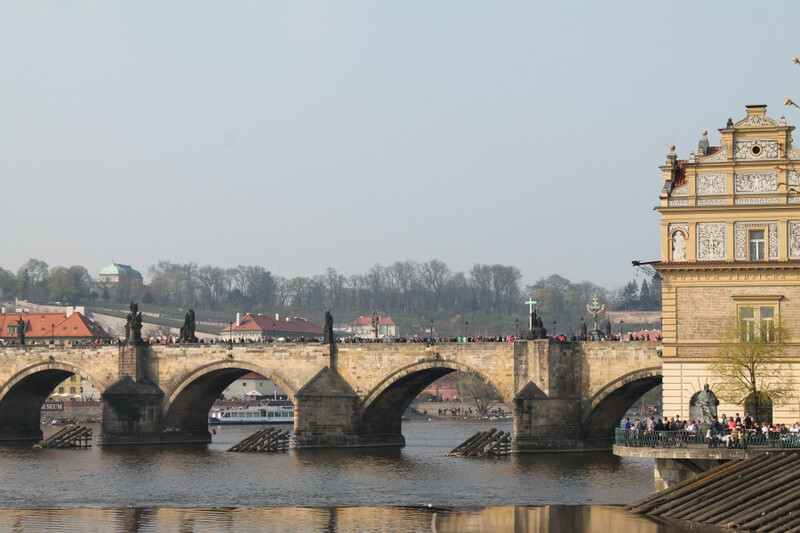 Charles Bridge's foundation stone was laid on 9th July 1357, at 05.31 am, by Charles IV. This time had been strictly calculated by astrologists. The bridge's architecture was guided by that of Regensburg's Stone Bridge. The statues were added throughout the centuries. Many of the figures seen today are replicas. 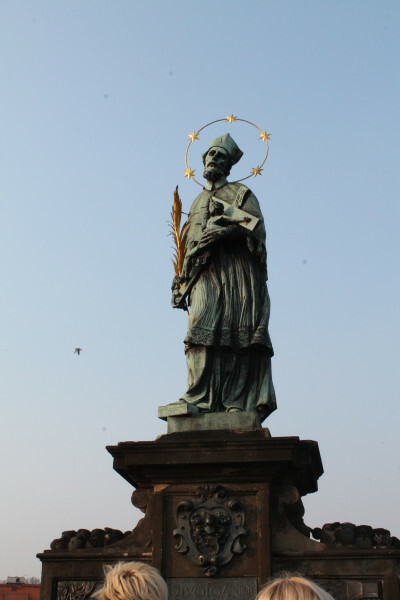 The oldest original that is still in place, is the statue of Saint John of Nepomuk, dating back to 1683. The most recent ones are Saint Kyrill and Methodius, whose statues were added in 1928. 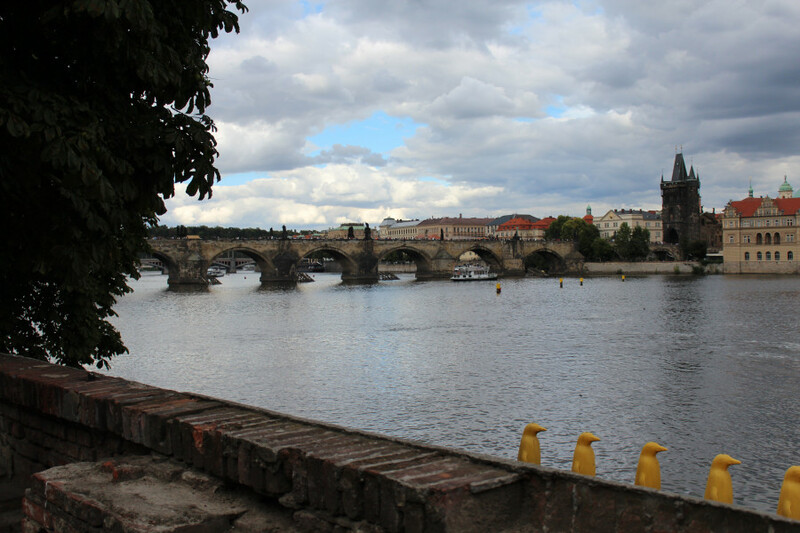 Charles Bridge connects Prague's Old Town with Malá Strana. 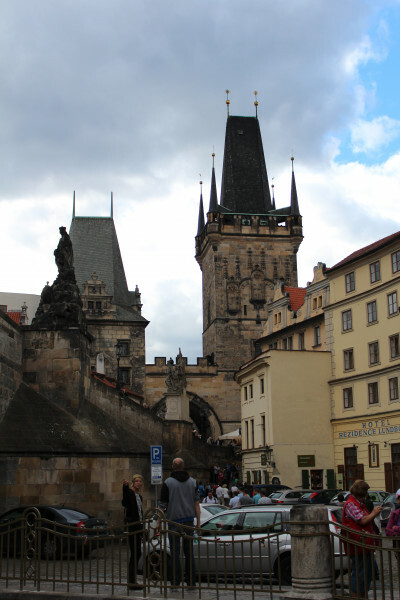 From Old Town Square, simply follow Karlova Street, which starts right by the Astronomical Clock and goes straight towards the bridge. 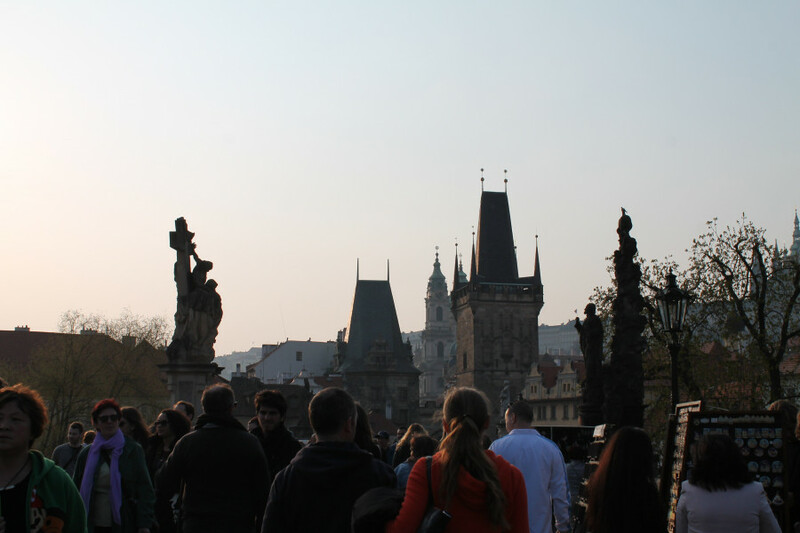 From the other side, start at Malostranské náměstí and follow Mostecká Street, which will also lead you straight to Charles Bridge.